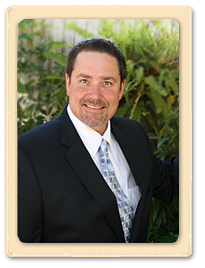 The Law Offices of C. Anthony Rumore, P.A., has many years of experience in its core areas of practice. Consistently striving to build upon our professional skill set, we aspire to the highest standards of quality in the professional services we provide. Outside of our core areas of practice, we will endeavor to meet our clients needs through our network of proven specialists. We are client and solution oriented, not problem oriented. We focus on resolving the legal matters and problems of every one of our clients. For us, sharing the precise nature of the legal issues with the client is just the beginning of the problem resolution process. We are determined to present our clients concrete and realistic solutions for their problems. We support our clients in choosing the best solution and (if desired) help the client implement the solution chosen. Only once our client is satisfied, have we accomplished our mission. Our fees are fair. Excellent and comprehensive legal counseling and representation do not have to be expensive. Our specialization and our experience allow for an efficient operation. Our lean and flexible cost structure enables us to charge customer-friendly fees. C. Anthony Rumore holds a law degree (juris doctorate) with distinction from South Texas College of Law (1997). He is admitted to the Florida Bar (1998). During his legal career he has served as legal counsel for a variety of business enterprises including, international technology organizations, international business consulting firms, nationwide transportation and translations services organizations, businesses involved in aviation, fine art, home security, banking and mortgage lending, title insurance companies and many restaurant and hospitality ventures, to name a few. C. Anthony Rumore has provided counsel for and has structured hundreds of commercial and residential real estate transactions as well as guided dozens of clients through the acquisition or sale of many types of business enterprises and assets. In addition, C. Anthony Rumore has been involved in the incubation and development of several small and mid-cap companies as an entrepreneur. Copyright 2013 © Anthony Rumore, P.A.